To say that this week is exciting would be a massive understatement. Lets start at the beginning to tell the story properly. Almost 4 years ago after working hard selling whisky at the Vancouver Hopscotch festival, which happens annually every November, I was out doing a little Christmas shopping for my wife and I came across another chocolate filled Advent Calendar. This one peaked my interest as it was made up of Dark Chocolate (my wife’s favorite) and had a lovely portrayal of what many consider the perfect Christmas. A small cottage nestled in the woods covered in snow with a large window allowing a glimpse into the scene within. A roaring fire and lavishly decorated Christmas tree along with 4 stockings hung on the mantle and 2 deep backed leather chairs. Although not an image from my childhood as I grew up with long Summer days and a very warm and sunny Christmas experience, the image struck a chord with me as I have now for the past 13 years on many occasions had Christmas by the fire with snow gently falling outside. I picked up the Advent Calendar and as I was waiting in line the thought occurred to me that it would be awesome to be able to open up a new whisky every day instead of chocolate. I did not dwell long on the thought but it stuck with me. Quite often an idea needs prompting before you actually act on it and the next year in September having not really thought about it much I was talking with a retailer in Alberta who was super excited as they were about to receive the first shipment of the first edition Craft Beer Advent Calendar. I was taken right back to that November night in Vancouver standing in front of the Dark chocolate Advent Calendar display. 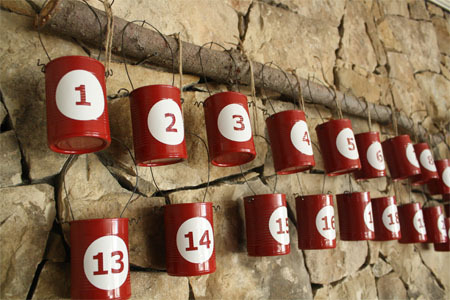 The Craft Beer Advent Calendar was of course a big success and is now into it’s third year and sales are stronger than ever. So my journey towards a Scotch Whisky Advent Calendar started officially as I spoke with my gorgeous Canadian wife and she gave it the big thumbs up. I did find out that there was a Whisky Calendar created by the really switched on marketing machine that is Master of Malt. They created their first whisky calendar in 2012 which was also the same year that the Craft Beer calendar came out. Knowing that I would be at least a year behind what looked to be a very serious developing consumer trend, I looked at ways that our version could over deliver and ‘wow’ both novice and seasoned whisky drinkers alike. In 2013 the Master of Malt Whisky Advent Calendar made it to Alberta as an exclusive for only a few retailers. The resulting consumer reaction was immediate – they sold out and they sold out fast. Looking at their model – 30ml bottles of whiskies from across the globe taken from opened distillery produced bottles gave me a good baseline to start from. So what do you do when you know you are on a winner and want to wow the market and establish your product as something outstanding that will cement you as the front runner for years to come? With the days rapidly getting chiller here in the Northern Hemisphere and October almost half over my thoughts definitely start to turn like the autumn leaves away from the frivolous and refreshing into a desire for something full and warm. In fact I get positively over the top with excitement sometimes thinking about all those lovely drams that I am yearning for over the next 6 months. With all the special holiday moments soon to come it is also a time of year that I crack open or re-open some special drams to share with family and friends and I can hardly wait. Below and in no particular order are some of the awesome drams that I will be drinking and writing about over the course of the frozen season. Here is my top 10 as it stands now. No doubt there will be other contenders that will come along to grab my attention but the list above really does get me salivating in anticipation. 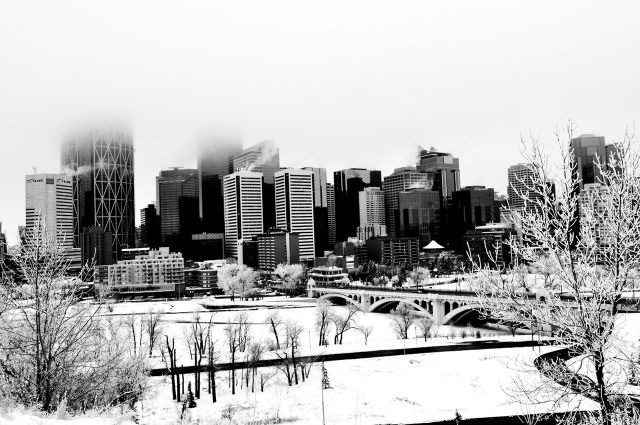 Although personally I find the long harsh Calgary Winter hard to cope with, after 13 years my one solace is that it makes for a great environment to get into whisky. So please write in and let me know what special drams you have lined up ready to go to keep you alive through the long Winter months. Either that or tell me your sob story about how you don’t have anything in your cupboard and are desperate for something different. Name all the Islay Distilleries for a chance to win a bottle of A.D. Rattray Cask Islay Batch #1 Blended Malt Whisky. Please don’t share your answers in the comments below, or you’ll give it all away. I am on a mission to get some decent dialogue going about the ‘when and where’ of your dramming habits so am willing to pimp out some freebies to do so. Next week’s Blog is the launching point for something that has become a raging passion for me over the past few years. This will be a multi-part blog as there is too much story to tell for just one quickie. If you love whisky and love to be surprised and amazed with unique whisky experiences then you had better tune in next week. Don’t want to miss a thing? Then subscribe to this blog and follow me on Twitter. One of the absolutely fabulous things about being in this line of work is getting little parcels on the front doorstep and occasionally finding a very rare package in the mail that ran the Canada Post gauntlet and survived. A few weeks ago I was lucky enough to receive one such parcel with a wee bottle of something extremely special inside. Before we get onto the whisky a little background is in order. What do you do when you have successfully taken a distillery that was closed for over two decades and rebuilt it, made it profitable then sold it off all within the space of 5 years? The answer is take a well deserved break and plan your next whisky empire. Stuart Nickerson was the man at the helm of the Glenglassaugh revival and is now starting several new ventures that whisky lovers should well pay attention to. The first venture and the company behind the wee bottle of whisky that will be reviewed shortly is the Malt Whisky Company. 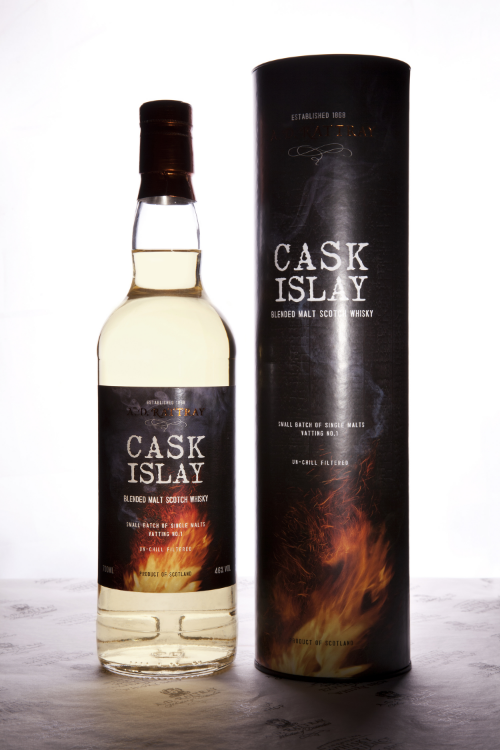 A new independent bottler, The Malt Whisky Company will be releasing a very limited number of single casks each year. Launching this Christmas their first cask is naturally Glenglassaugh which is near and dear to Stuart’s heart. At 40 years of age and hanging on at the cask strength volume of 41.5% this cask was specifically chosen by Stuart to showcase his new company. Glenglassaugh 40 year old Highland Single Malt – Cask Number 37606 – 298 Bottles. Distilled in December 1973 and bottled last month. This whisky was originally aged in a refill sherry hogshead until 3 years ago when it was re-racked into a first fill sherry. Tasted in a Willow Park Reidel Whisky Glass. Nose: Ttttttttttttropical Fruit basket…. hmm let me see what’s in there, guava, passionfruit, papaya and just a hint of coconut. This is a very inviting nose and I have to say that given this is a 40 year old Glenglassaugh personally chosen by Stuart my expectations are pretty high. Taste: Soft enveloping palate with floral notes like a Hawaiian Lei with a rich vein of candied papaya, this evolves into a sweet and spicy vanilla cinnamon creaminess. The finish lingers on and continues some delicate twists and turns leaving a lovely afterglow. This is one nice whisky and the 41.5% does not need even the tiniest drop of water. So balanced, this is an awesome dram. I have in the past talked about older whiskies and the fact that they are invariably always expensive but not always worth it. What I look for in an older whisky is some of that youthful fruit balanced with the complexity that only age and great barrels can bring. This definitely has it all in spades. A ton of fruit for such an old whisky and the softness and balance is exquisite. Good work Stuart this is a great start to The Malt Whisky Company library. So leading on from this is another interesting twist in the History of whisky in Scotland. Stuart is heading up the opening of a new distillery. The Shetland Distillery Company is the Northernmost Distillery in Scotland in the remote town of Haroldswick on the northern tip of Unst. Initially releasing Shetland Reel Gin Stuart estimates Whisky production to begin sometime within the next 12 months when the Whisky still arrives. 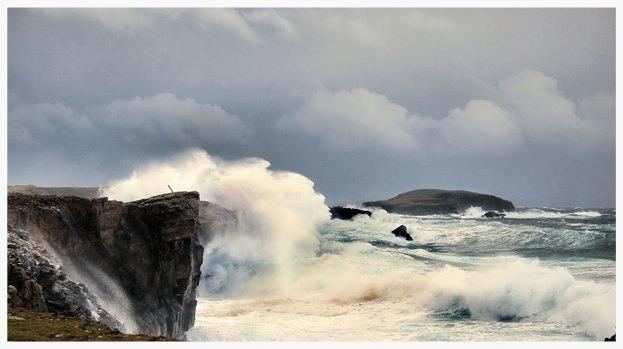 Given the cold and storm lashed coast in this part of the world, the whisky be will tortured by the elements before finding its way to Canadian retail shelves. I look forward to visiting the Shetland Islands at some point and hanging out at the one available bar on Unst for a celebratory pint with Stuart.